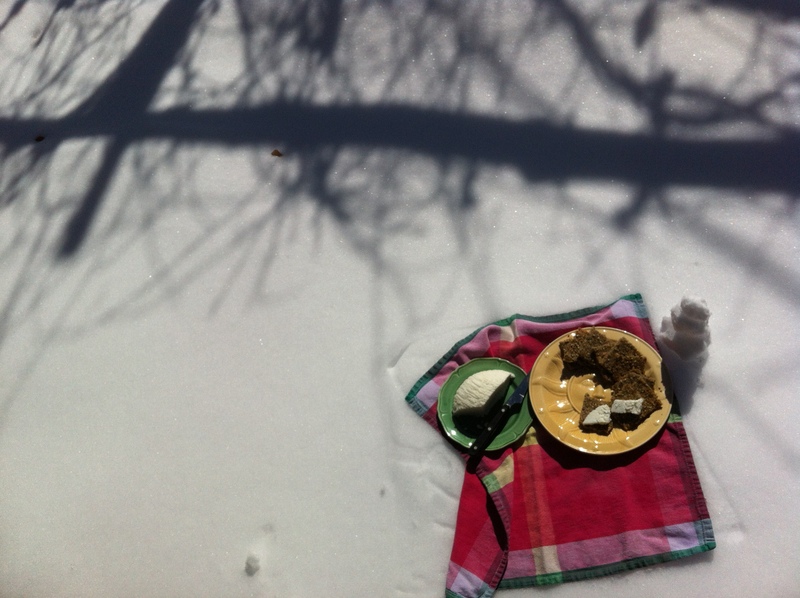 Homemade goat cheese + homemade crackers + hot sun in the snow out the back door = Perfect. 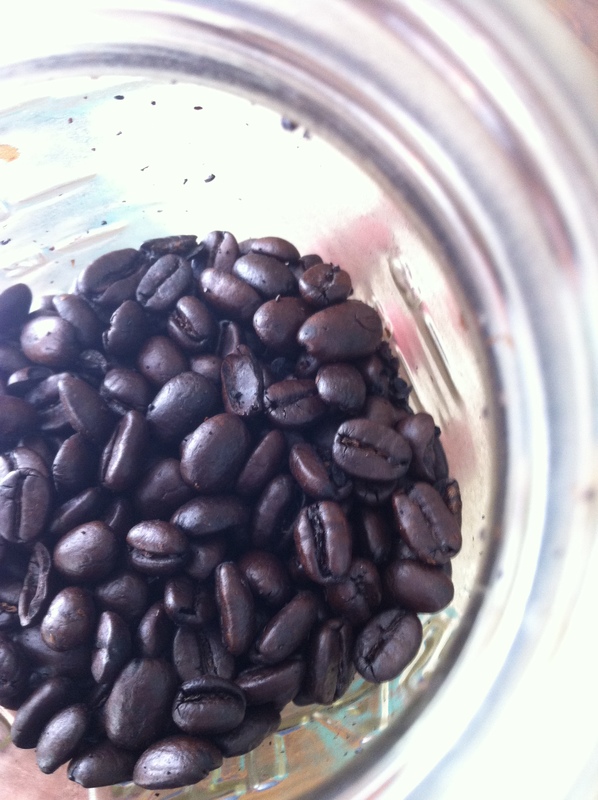 And need to tweak the recipe just a little before I send it out into space to you….alright? 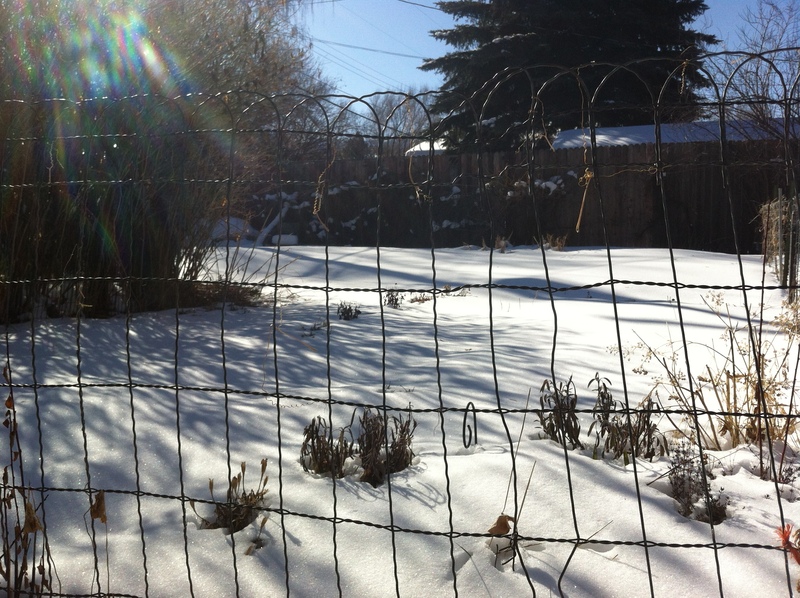 The garden was so beautiful with the hot sun beaming down, snow drifts and all. I’m planning out this year, little by little, what I’m itching to try, what I want to repeat. Lots of sugar snap peas. Lima beans. Fingerling potatoes. Golden beets. Delicata squash. Fun new lettuces. Napa cabbage. Not as many green beans! More chilies! Plenty of that Luscious bi-color sweet corn. 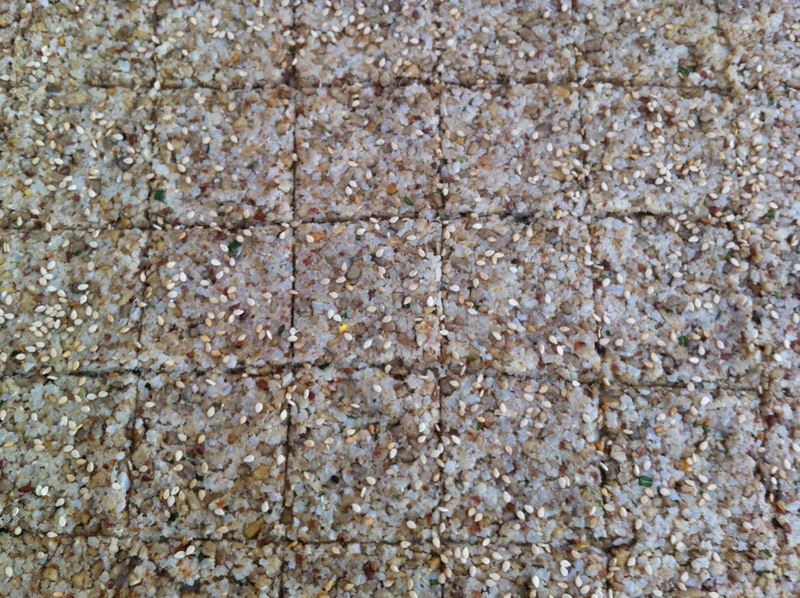 How about pop corn?? ?…..plus naturally many more…. I set my sights on finding an old orchard ladder, so I don’t miss any of the apricots, plums and apples this year. 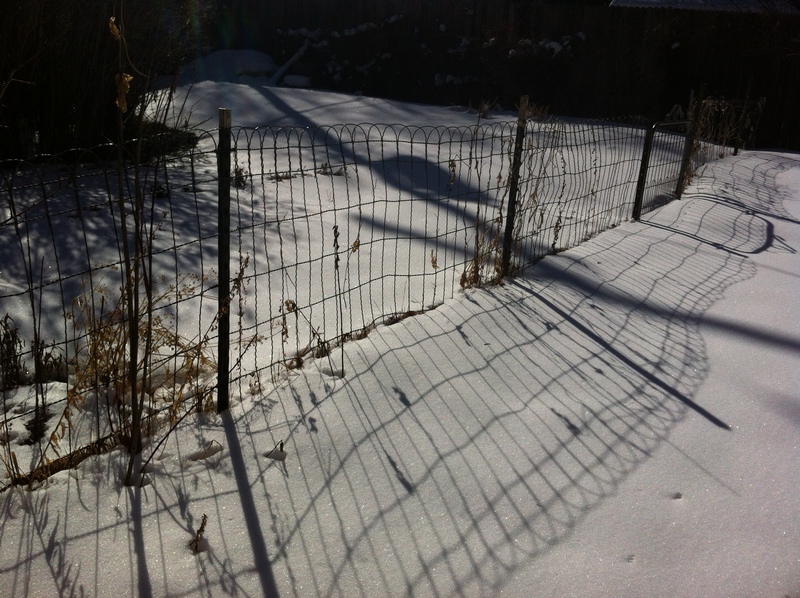 I plan to build awesome tomato trellises so the jungle will be more navigable. And keeping the Virginia creeper at bay with a bit more vigor before it engulfs the side fence. I’ll grow my chards and kale from seed in hopes the plants will be stronger to ward off the aphids which dearly loved them last season. So for now, let’s eat! Are you hungry? 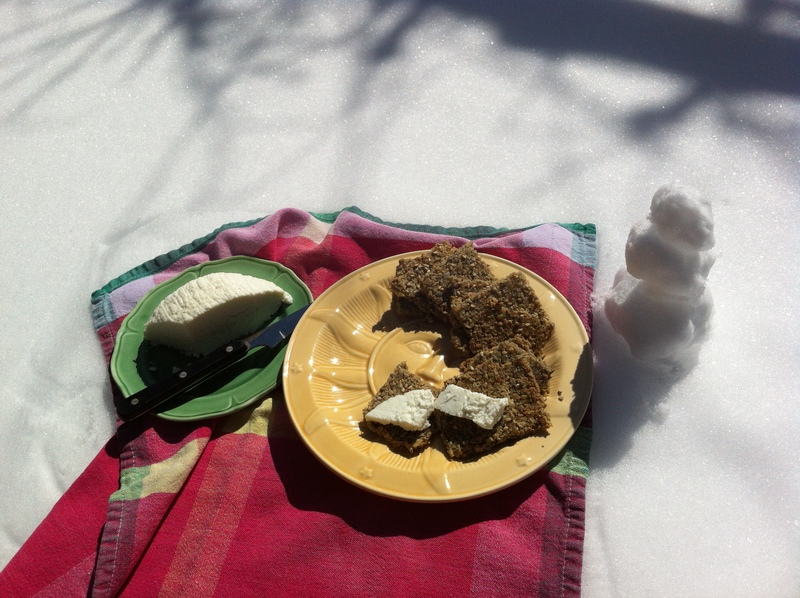 Fresh cheese and just made crackers with herbs from the garden. With the snow drifts for our table. 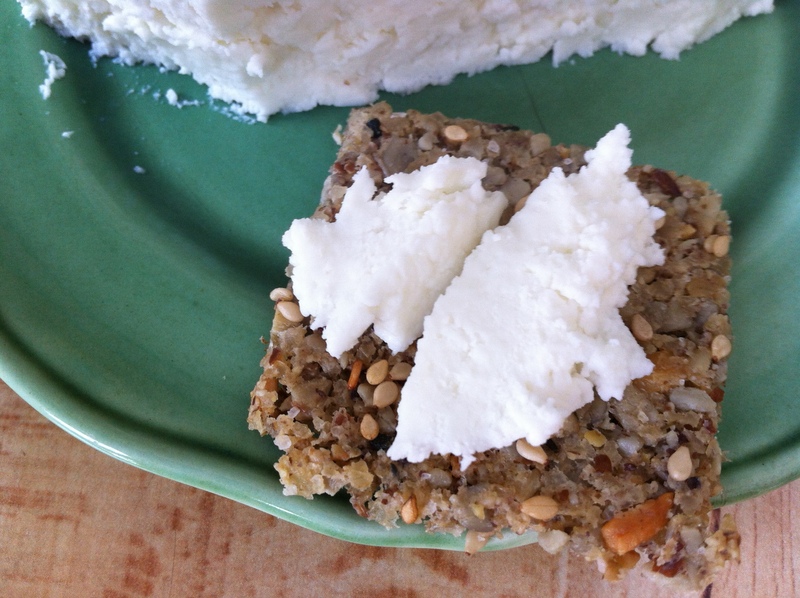 Want to make your own fresh cheese? Try my recipe from the day I visited Rain Crow Farm back in January. It’s so good.